An Amazing Present for your Loved One!! 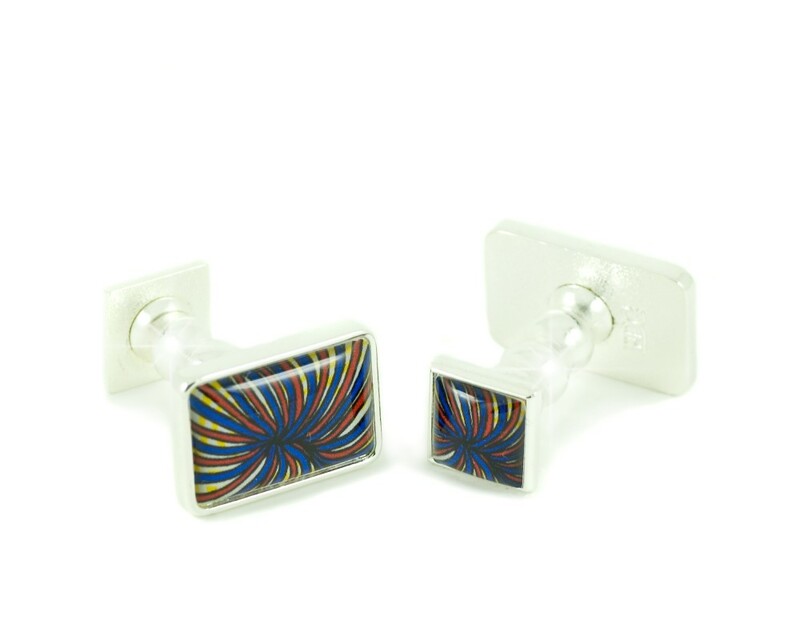 The Snowdon Cufflink Collection spirals to a summit of colour; reds, yellows & blues explode. All images & colours dramatically expand from the nucleus, set in high quality silver finish. The Snowdon Collection is both imposing & glamorous. 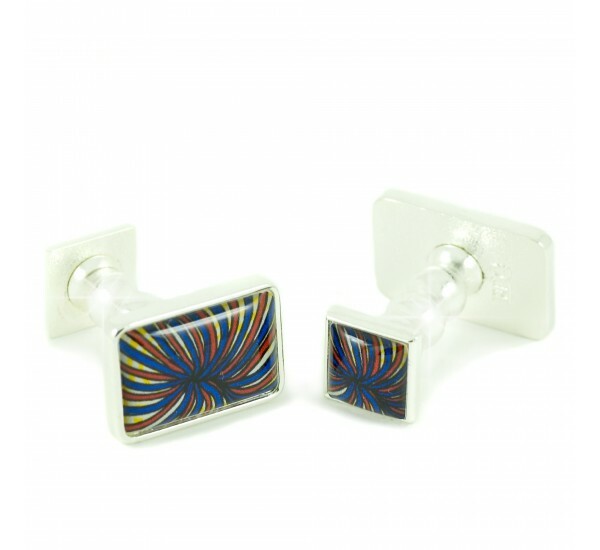 All EDG Designer cufflinks are handcrafted in England. The Snowdon Collection is in highly polished Silver Finish.